Meet Dr. David M. Salse, D.C. I didn’t know the first thing about chiropractic until a car accident injury made me think it might be worth a try! Attending California State Polytechnic University, I graduated with a Bachelor’s degree in Biology. It was while I was working as a chemist I was involved in a horrific accident that would eventually lead me to chiropractic. My car was rear-ended, and I received a whiplash injury. At the time, I thought the intense, sharp pain would go away, but it didn’t. Medication helped but when it wore off I felt sore and miserable again. Luckily, a friend talked me into seeing a chiropractor. I didn’t have any knowledge or previous experience with chiropractic, which made me somewhat afraid and skeptical of it. Since the medical options weren’t working though, I thought maybe chiropractic would be worth a try. I went to see a chiropractor and was surprised to find that he was really nice and caring, not the new age fringe practitioner I’d expected! He took X-rays, explained the treatment plan, and gave me my first adjustment. I couldn’t believe the results! Fifty percent of my pain went away instantly! It was about more than pain relief, though — overall, I felt incredible. It was a profound experience for me. After the accident I started researching chiropractic and realized a natural approach to health and healing made perfect sense. As fate would have it, my job as a chemist was located just a few short blocks away from the Southern California University of Health Sciences. I was accepted to chiropractic college and graduated with honors in 1993. Dr. Salse’s chiropractic college education gave him a medical foundation on which to base his care. Over time, he met other chiropractors and traveled a great deal, which helped him to develop his passion for chiropractic. Dr. Salse is a board-certified chiropractor and is certified to perform Manipulation Under Anesthesia (MUA). Dr. Salse was born and raised in the San Gabriel Valley. He enjoys serving the people of his community to reach better health. 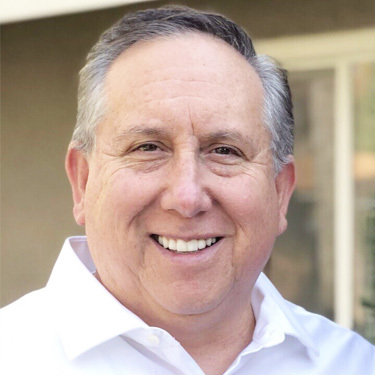 He is the founder and CEO of the United Physicians Health Institute, a premier exhibitor for major corporate health fairs from throughout California. Through the Institute, he provided corporate employees with education and training in pain management using TENS technology. When he’s not at the office, Dr. Salse enjoys spending quality time with his five children. He also enjoys camping, hiking, biking, reading, playing guitar, traveling, going to church and the movies. If you are suffering with pain and you want to get your life back by revitalizing your health naturally, contact us to schedule an appointment!